When PR.com launched in January of 2005 their main objectives were to gain traction among businesses, business owners and an entrepreneurial readership, as well as wide exponential growth of traffic and readership. 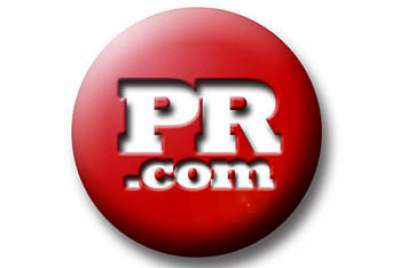 PR.com also sought to become a leading online press release distribution service and to grow their press release distribution reach by gaining new and more powerful press release distribution channels such as Google News Search, Yahoo News Search, MSN News Search and other third party destination news content websites. In addition to strong and identifiable online branding, growth of traffic, and wide press release distribution, PR.com was also seeking ongoing media mentions with links back to original PR.com editorial content. We worked to build traffic and influence by establishing PR.com’s now acclaimed and much written about Articles section, incorporating soft news feature length articles topics such as: health and wellness, movie reviews, event coverage, travel reviews, op-ed pieces by well-known contributing writers and cooperative celebrity and newsmaker feature profiles. We leveraged PR.com’s articles content, particularly its celebrity interview and newsmaker interview content to anchor PR.com into online mainstream and entertainment-related media stories with links back to PR.com. These interviews with prominent popular culture figures also made their way off the screens of new media and into many traditional media outlets and avenues, and allowed for PR.com to gain additional cache with major search engines like Google and Yahoo, allowing for more widespread press release distribution among third party news platforms. Exponential growth of broad high end consumer traffic through interviews with political figures, prominent physicians and news making business people helped to established credibility for PR.com’s press release newswire. Using PR.com Articles page as a seed for overall website growth, brand recognition and credibility was essentially similar to the blogging strategy that most companies use today. To achieve maximum publicity reach for each of these celebrity interviews, Allison Kugel created syndication channels whereby sound bites, excerpts and news stories from PR.com’s original content would be syndicated to some of the biggest media outlets in the United States and the UK. Full Scale Media’s Allison Kugel, booked, conducted, published and syndicated close to one hundred and fifty long form feature interview profiles with newsmakers from: film, television, recording, fashion, publishing, sports, news, health and politics for PR.com. Content produced for PR.com gained major traction in both the online and social media space. The above media exposure through article content development, social media mentions, television exposure, magazine and book inclusion and A-list online media mentions resulted in thousands of quality incoming links to PR.com, and exponential growth in traffic stats, bringing PR.com’s global Alexa ranking from 130,000 in January of 2005 to below 6800 in November of 2013.